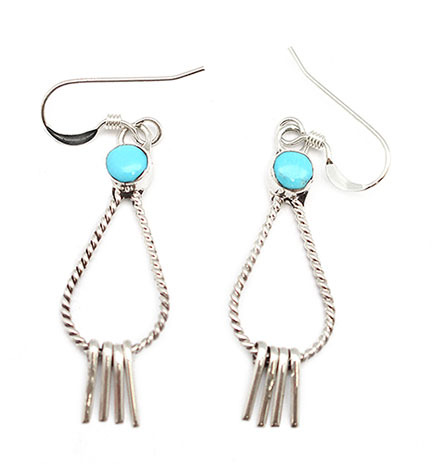 This sterling silver earring has a twist wire tear drop shape with 4 wire dangles and one inlay turquoise dot on top set in plain bezel. It measures approximately 1 3/4" long including sterling silver french wires. It is Zuni hand made and crafted by Velda Natacio. Color shade of turquoise may vary.